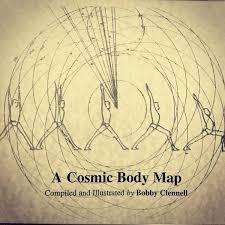 A COSMIC BODY MAP by Bobby Clennell. by Bobby Clennell. 14 pages illustrating the 20 main vedic deities as aspects of cosmic consciousness governing the movements of the stars as well as the functioning of our bodies.